When an item is sold and shipped, the seller will login to their selling activity and use the tools to mark shipment as fulfilled and to add a custom tracking code where FedEx, UPS or USPS is used. FedEx, UPS or USPS are the only ship carriers that support and provide tracking codes within the software. 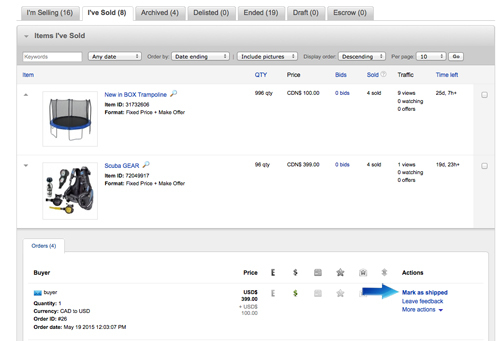 Buyer will login to the buying activity and see the track shipment button to visit the site and enter tracking code provided by the seller.